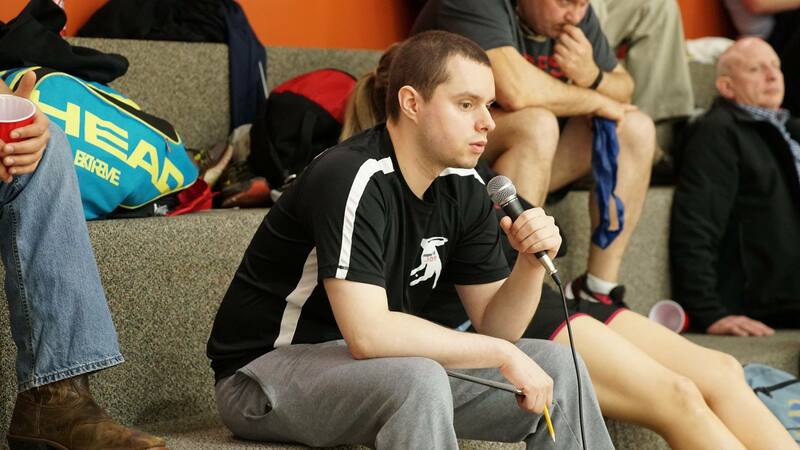 Nick Flores has volunteered countless hours on behalf of the World Players of Handball and the game of handball to introduce new players to the game, promote tournaments, host tournaments, referee, and much more. Thus far in 2017, Nick Flores has hosted the Pacific Northwest Regional Championships, organized a successful JR WPH clinic at the PNW Regionals, served as a professional referee for more than a dozen pro matches at the WPH R48 Player’s Championship, served as a WPH correspondent/writer at the WPH Hood River Invitational and advised the WPH board of directors on numerous issues throughout the first half of the year. Nick Flores is unquestionably one of the most passionate handball players and supporters in the world and the sport is incredibly fortunate to have his enthusiasm and commitment in furthering the game to players of all ages and levels. If you run into Nick at a tournament, pick his brain on how to grow the game we all love or just say thanks! The WPH had a chance to chat with “WPH Ace of the Month” Nick Flores on a variety of subjects, including his passion for the game, his best memories in the game, his favorite events, what he thinks can be done to grow the game, what makes handball different from other sports and much more! Check out the fascinating conversation below. 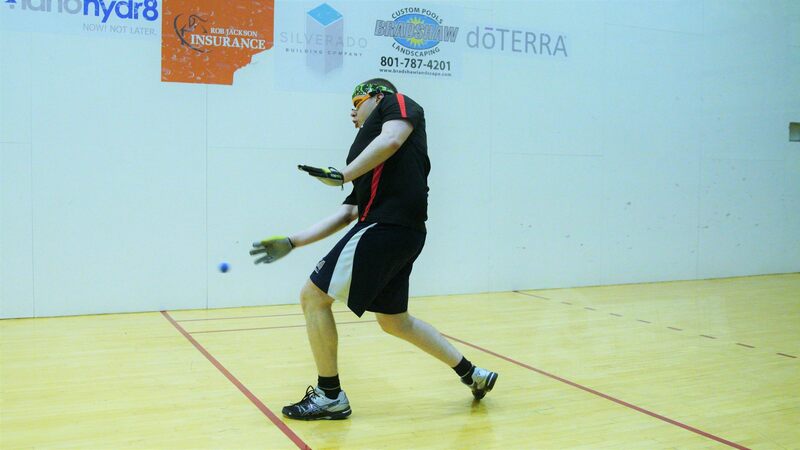 Years playing handball: 15+ years, my first handball tournament was the 2001 Junior Nationals. Why does handball mean so much to you: The handball community is unlike anything else. You can travel anywhere in the country and fellow handball players will welcome you to play with them. Total strangers become lifelong friends simply because you have one thing in common, the joy of handball. Playing handball has afforded me many unique opportunities to travel, meet new people, and make great friends. What is your best memory in handball: Directing the 2017 Pacific Northwest Regional Championships. We had one of the largest turnouts in years for our regional tournament, including our first ever Collegiate singles division, and the whole event was an overwhelming success. With terrific volunteers like Ed Fredenburgh and Doug Woods, as well as support from the WPH and the Alten Foundation, my role as tournament director was made much easier and we were able to put on a tremendous tournament for the players and fans. What is the best handball match that you have ever watched: The 2016 Four-Wall Nationals open singles final when Killian Carroll beat Paul Brady in an 11-10 tiebreaker. It was a heartbreaking loss for Brady, but the match was historic and will likely be talked about for decades as the passing of the torch from one all-time great to another. 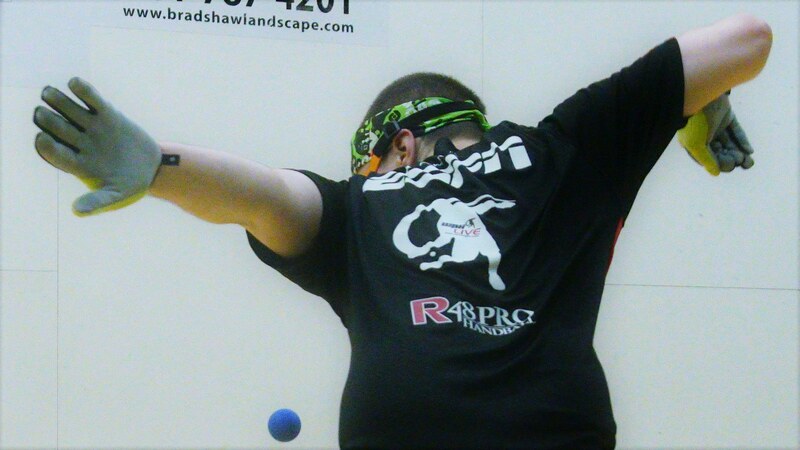 What has been your favorite handball tournament and why: The Hood River Invitational because the Stenberg family puts so much effort into having a fun format, great hospitality, and generating local sponsorships which has resulted in thousands of dollars being donated to charitable causes each year. What are your goals for handball in the Pacific Northwest: As the current Oregon State Chair my immediate goal is to increase attendance at our local and regional four-wall tournaments. I’d also like to see development of more outdoor one-wall and three-wall courts, preferably at or near schools so we can bring more young players into the game. Who started you in handball and what was the first lesson he/she taught you: My grandfather (Jack Marsh) got me started in handball when I was about 10 years old and he told me that whatever I practice with my strong hand, I have to practice with my off hand as well. This advice was very helpful to me and it’s always the first thing I tell new players. Where did you first learn to play handball: The Elks Lodge in Milwaukie, Oregon with my grandfather and his clubmates. What life lessons do you think can be learned from handball: Because handball is an individual sport, handball players must learn to be self-reliant and to persevere through adversity. You don’t always get the results you want on the court, but whether or not you put in the work to improve your game is entirely up to you. In your opinion, what separates handball from other sports: Handball is a sport you can play competitively for your entire life. Football players are usually done by age 30 or 35, basketball players are usually done by 35 or 40. Some baseball and hockey players can play into their early 40’s, but it’s uncommon. Provided we stay healthy, handball players can find competition in age divisions all the way up to age 80 or 85. Many handball players in their 50’s and 60’s can still compete at the open level with players half their age. Not many sports provide the opportunity for longevity that handball does. Who is your favorite handball pro to watch and why (past or present): Killian Carroll has quickly become my favorite player to watch because of the way he plays. He never gives up on a rally, sprinting and diving for anything he can get his hand on. No matter how far he’s down in a game or a match, you can never count him out because he’s capable of making a dramatic comeback at any time. And to top it all off, he’s a very classy guy both on and off the court. What handball pro or handball coach has been your inspiration: Definitely my grandfather, he introduced me to the game and was my first coach. He’s still playing handball two or three times a week at age 82 and I hope I’m still playing as well as he does at that age. What does handball need to do to attract more players and grow as a sport going forward and how can this happen: Average handball players need to get more involved in promoting our sport. That doesn’t mean everyone has to donate a fortune or spend hours each week teaching junior programs, but everyone can do something as simple as joining the WPH or bringing a friend to their local club to try handball. What do you see in handball today that inspires you: A number of things inspire me, but more than anything I would have to say the Collegiate National Championships. I was present for the 2015 Collegiate tournament in Portland and the energy at that event was unlike anything I’ve seen in my handball career. With hundreds of young handball players ranging from ranked pros to first-year players, it gave us a terrific glimpse into the future of handball. What gives you the most satisfaction as a handball promoter and tournament director: Knowing that the work I do makes a difference in the local handball community. I can’t think of a better way to spend a weekend than playing in a handball tournament, so if I can spend the time and effort to put on a great tournament for my friends and bring people together to share in our sport, it’s really a great feeling. I’ve had such a great experience being part of the handball community and I feel obligated to give back in any way I can. What do you see as the future of the sport: The future of handball will continue to be a combination of all the codes, though outdoor big-ball handball will likely grow faster than indoor small-ball handball, especially as we bring juniors into the game. In my experience I’ve seen more four-wall players want to try one-wall and three-wall, but the WPH has hosted numerous successful crossover-style events and I can certainly see it catching on at the local level. The more options we provide, the more people will participate. Why aren’t more people playing handball: Until recently, handball has suffered from a lack of mainstream exposure. Thankfully the WPH has brought handball into the modern age with live broadcasting, an active social media presence, and a strong youth development program. Handball is now in a position to grow as a sport, but the changes we need won’t happen overnight. It’s vitally important for local handball players to support efforts like Junior WPH and get involved in their local handball communities. In your opinion, what are the barriers to entry in handball: The biggest barrier to entry is the long learning curve of handball. The object of the game is simple, but it takes months or even years of practice to become proficient in handball. Many new players get frustrated and give up early on in the process. Not everyone has the inner competitive drive it takes to persevere through repeated failures in pursuit of mastering handball, but for those of us who do, it becomes an obsession. If every handball player did (blank) ., handball would grow: If every player took the time to introduce their friends and family members to handball, our community would grow tremendously. It’s all about the numbers, and a certain percentage of people won’t stick with the game, but the more people we expose handball to, the more players we’ll end up with. Almost every handball player was introduced to the game by a friend or family member, and we need to keep this cycle going in order to grow the sport. What have live ESPN broadcasts done for handball: The WPH partnering with ESPN for the R48 broadcasts have been a huge step for the sport for a number of reasons. The opportunity to play on ESPN gives aspiring handball players something to strive for, and for fans of the sport we now have the opportunity to watch the best handball players on the planet play at the best venues straight from our mobile devices in high definition. We’re seeing handball played with referees and line judges in uniforms, the use of video replays on close calls, and professional commentary and camerawork, all of which have added visibility and legitimacy to our sport.